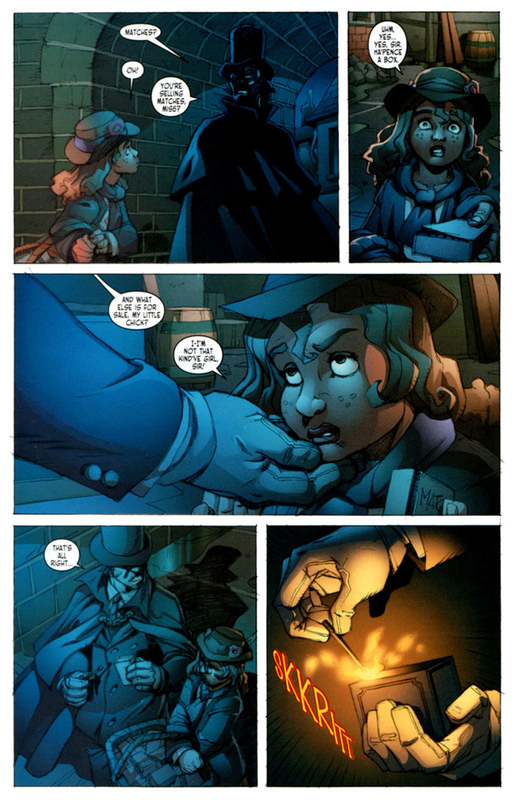 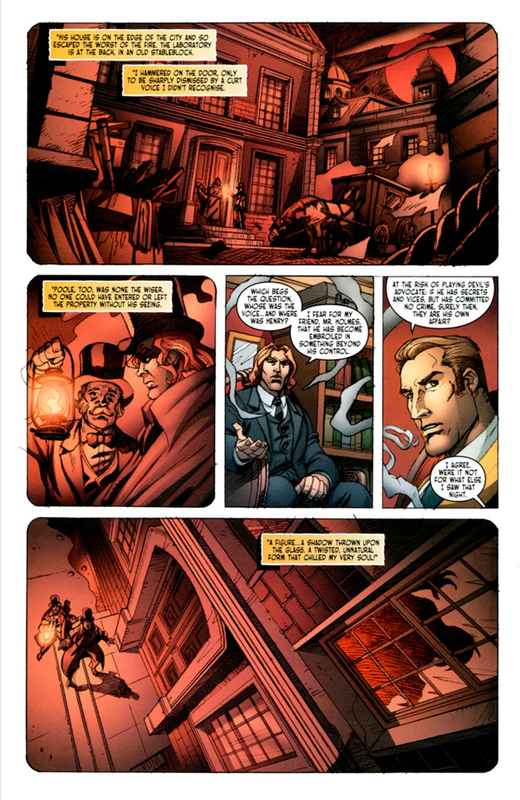 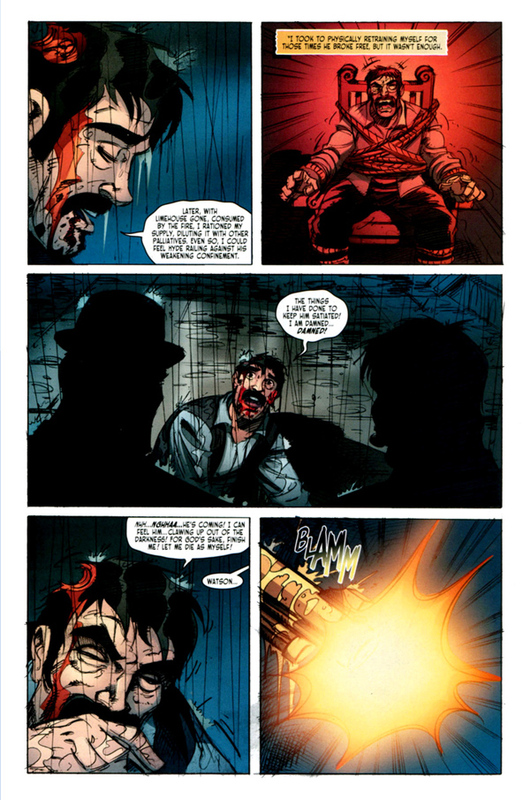 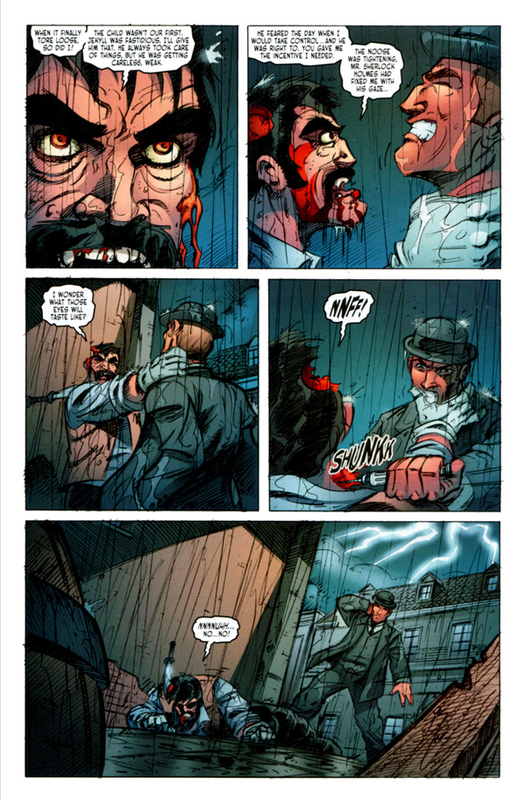 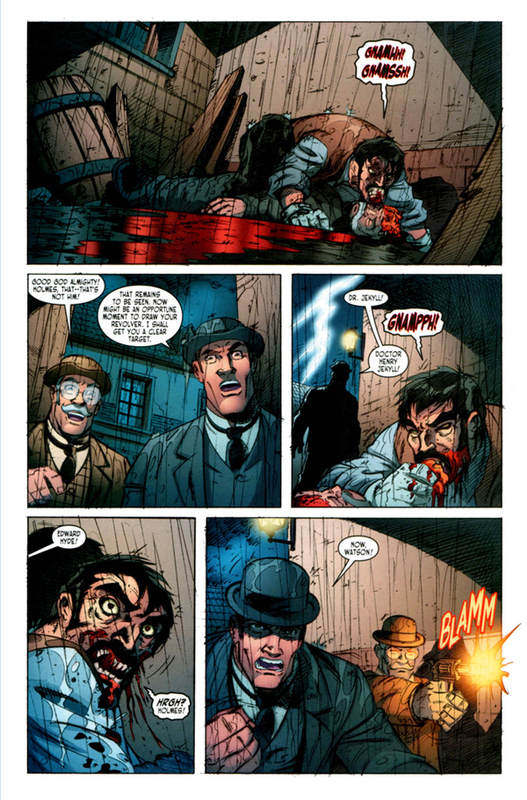 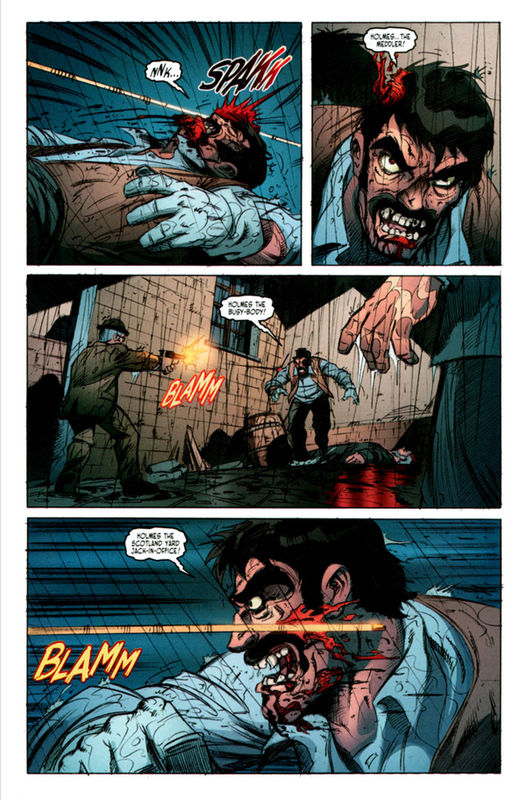 I've finally finished converting this Sherlock Holmes/Jekyll and Hyde Zombie crossover comic from its CDisplay comic format into normal images! 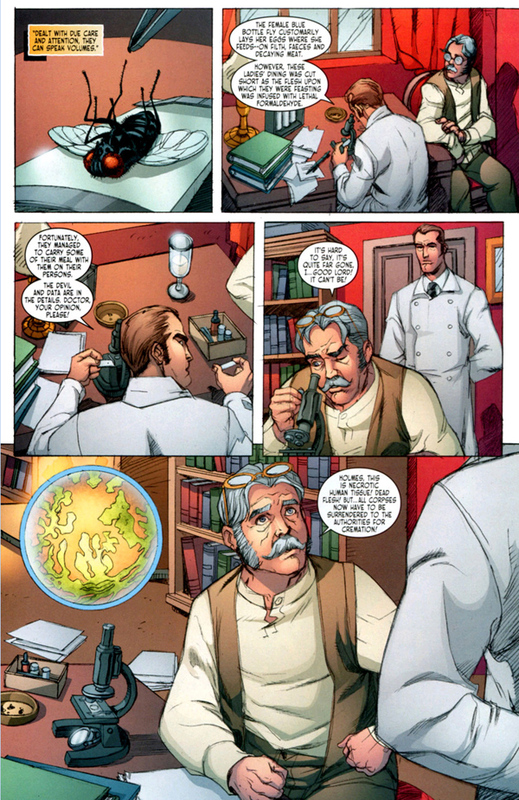 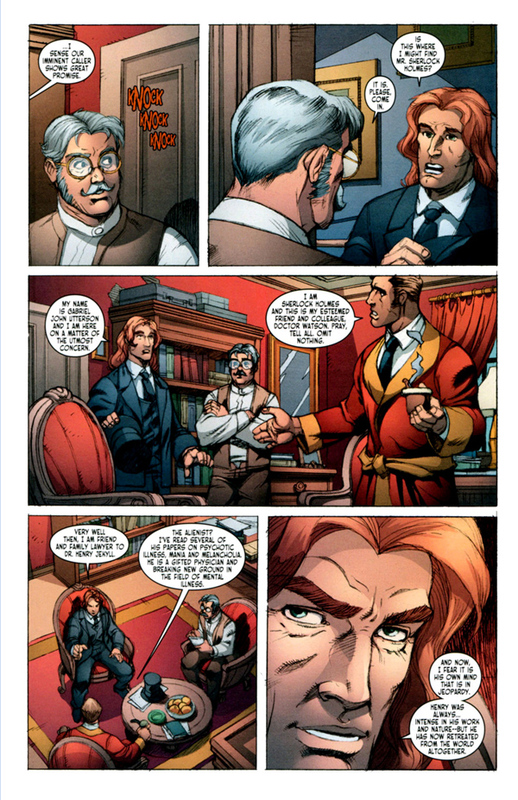 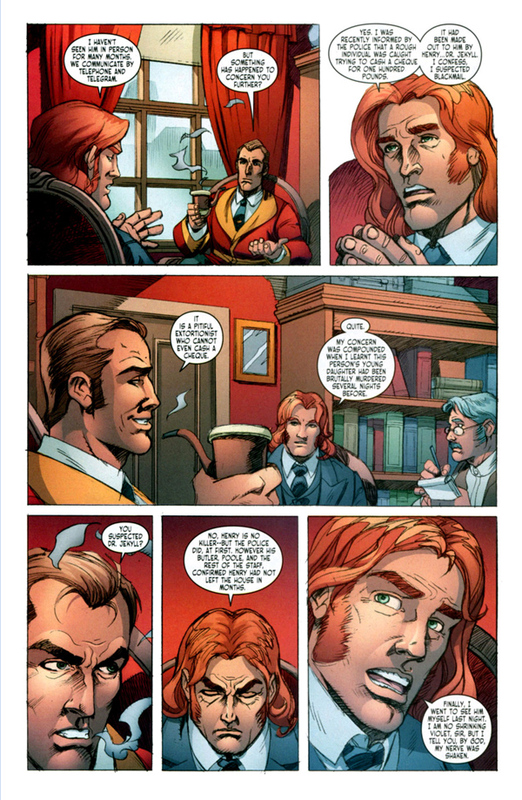 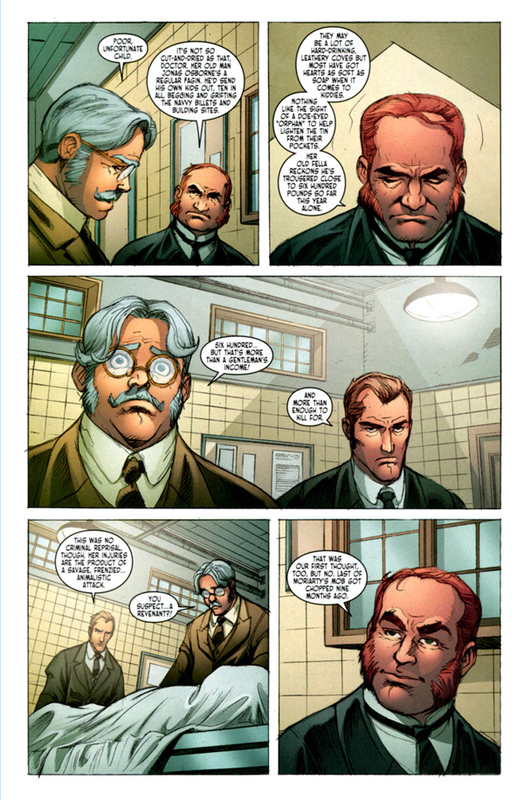 It's a great little comic, with art, writing and characterizations of these well-known figures that I have no issues with at all, but indeed thoroughly enjoyed, save for Jekyll's mustache. 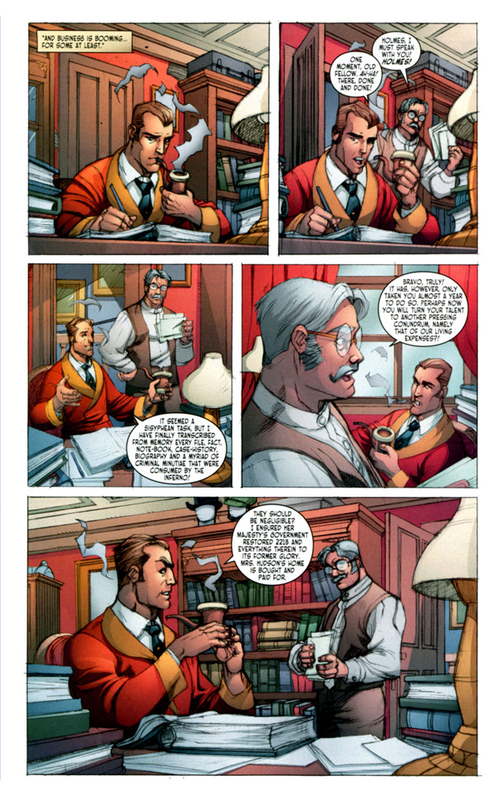 It's just a matter of personal taste, I know, but in my mind Jekyll doesn't look right with one. 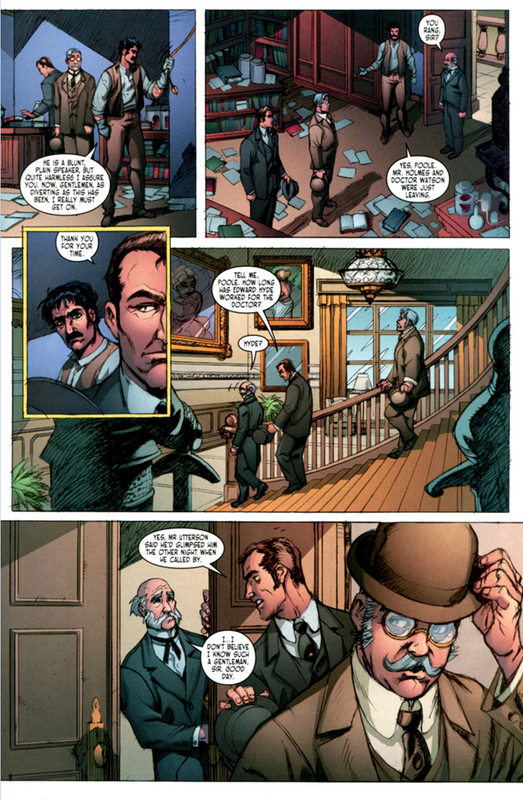 Also, Utterson's haircut is hilariously unsuitable to his character. 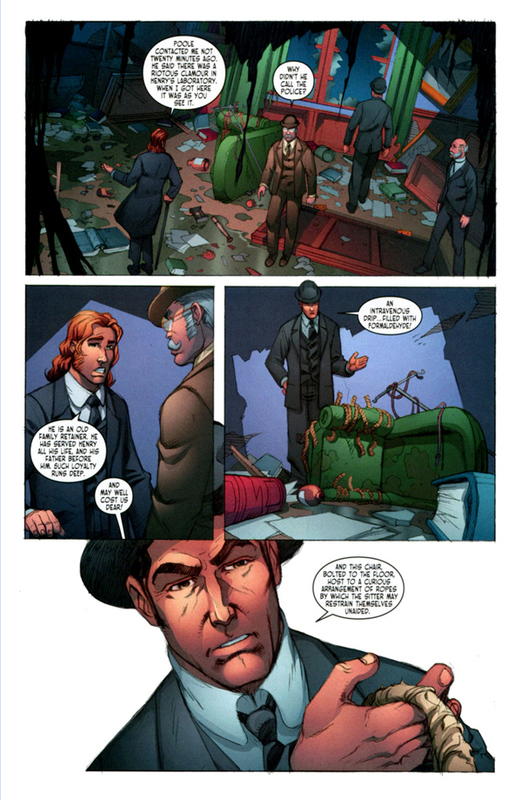 But when those are my only complaints about it, it's certainly not at all bad. 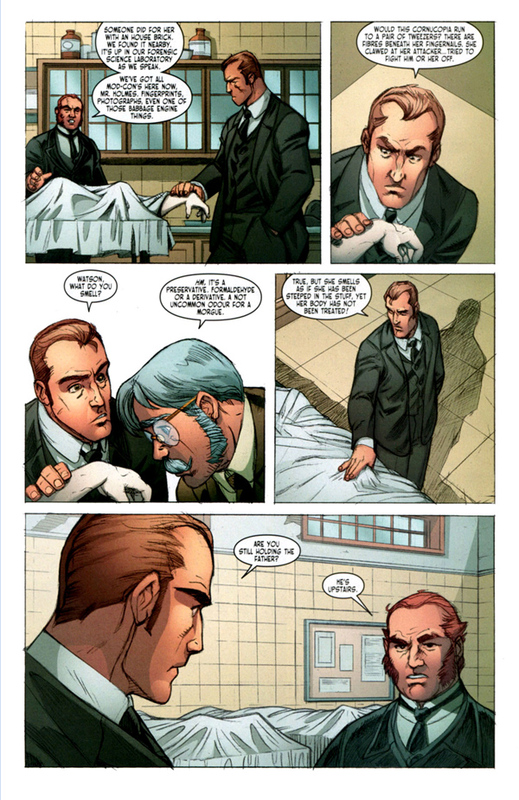 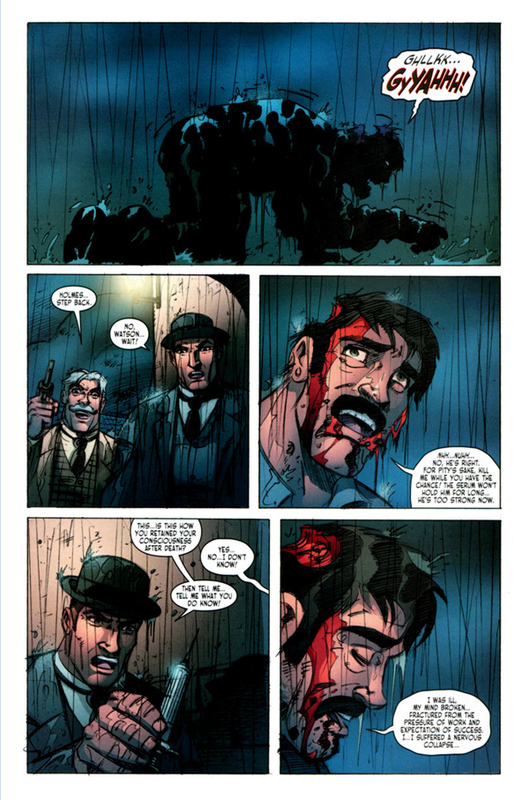 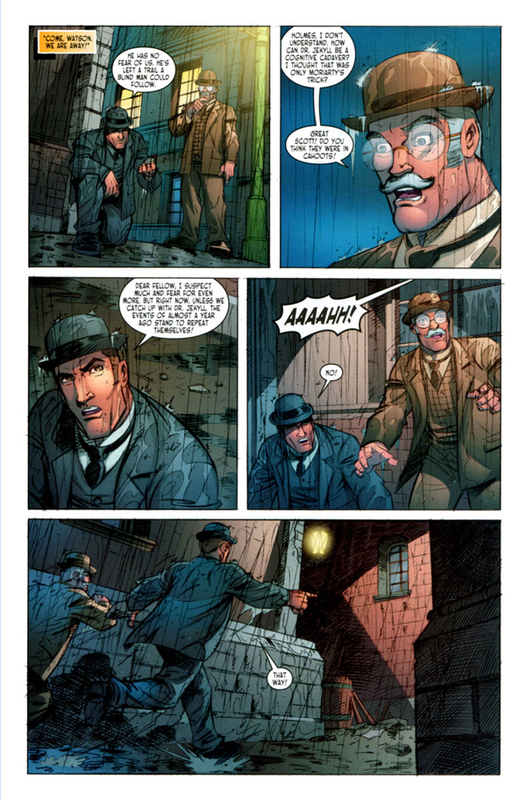 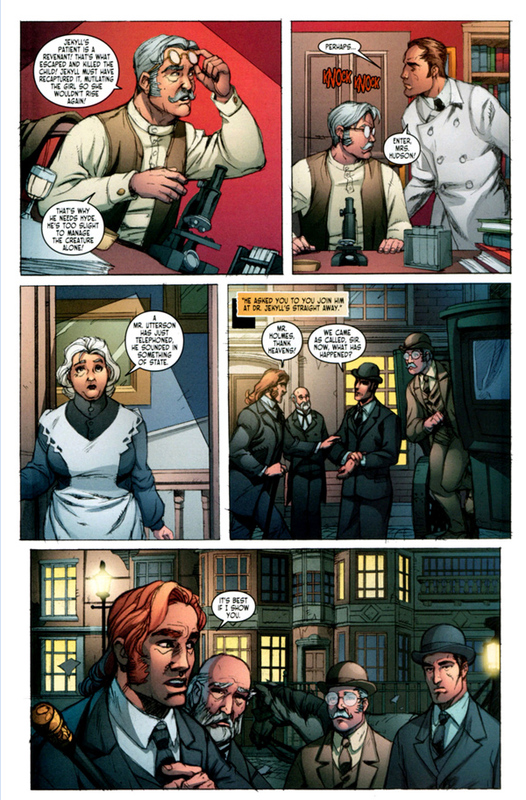 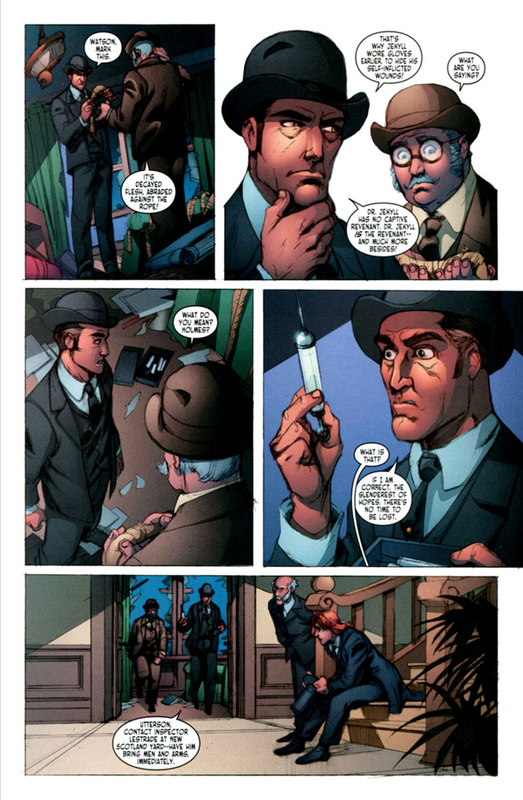 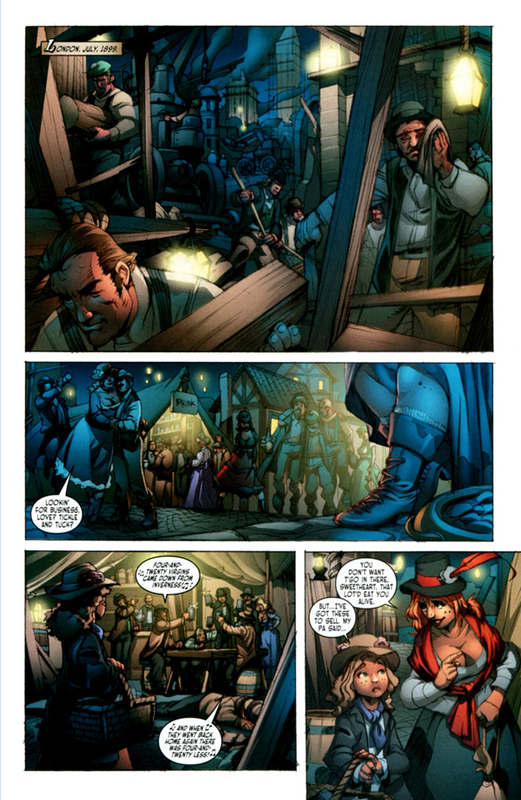 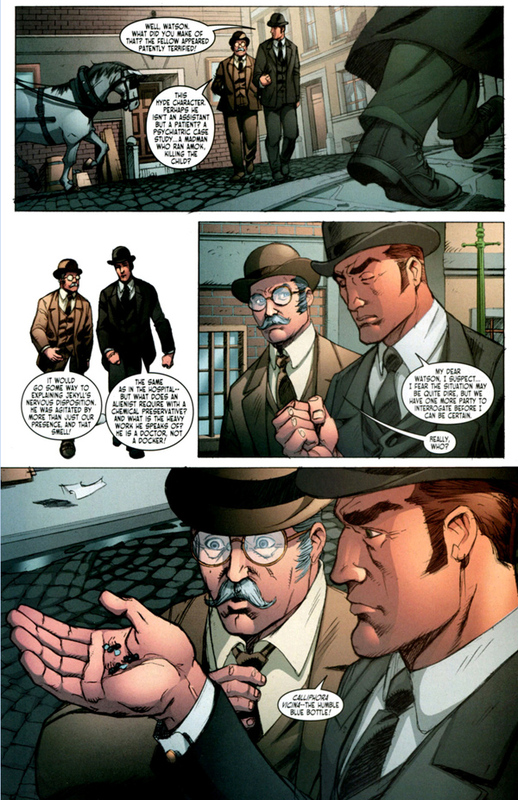 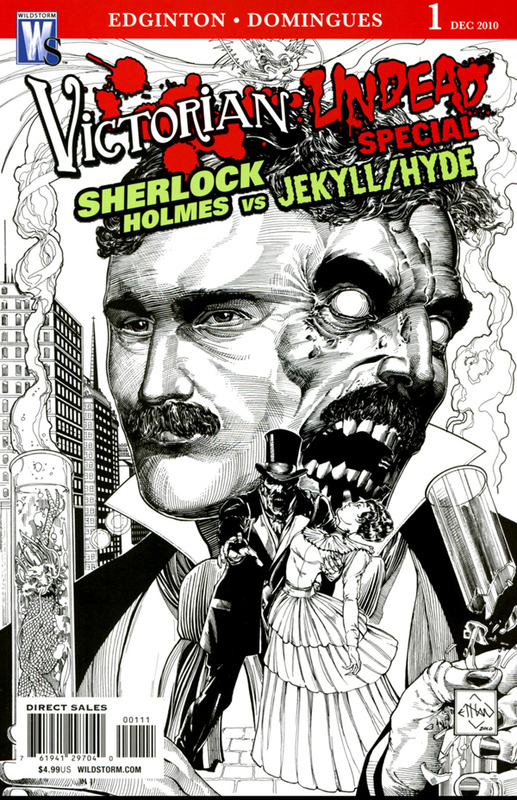 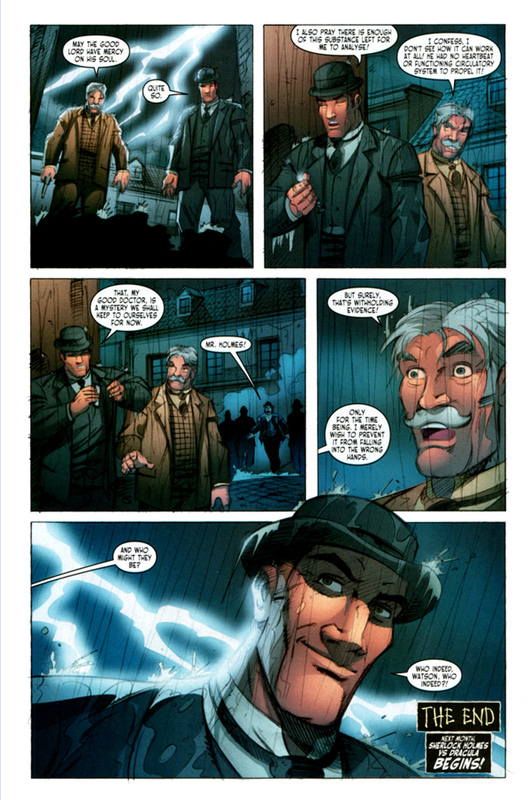 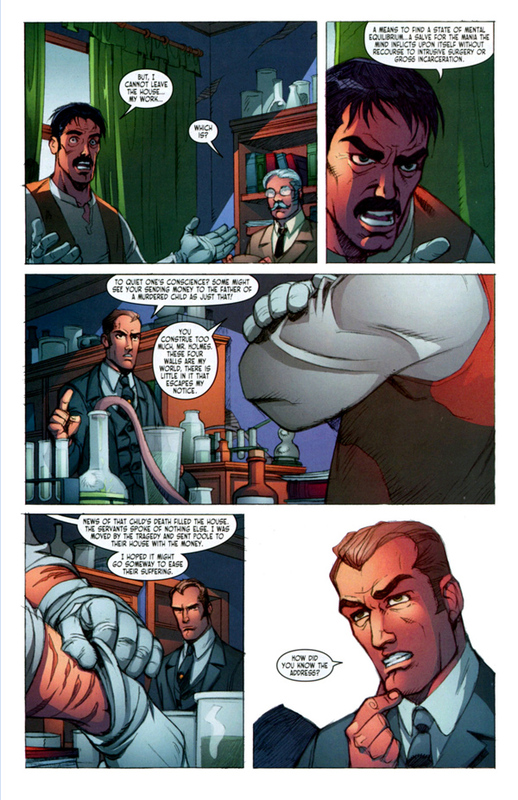 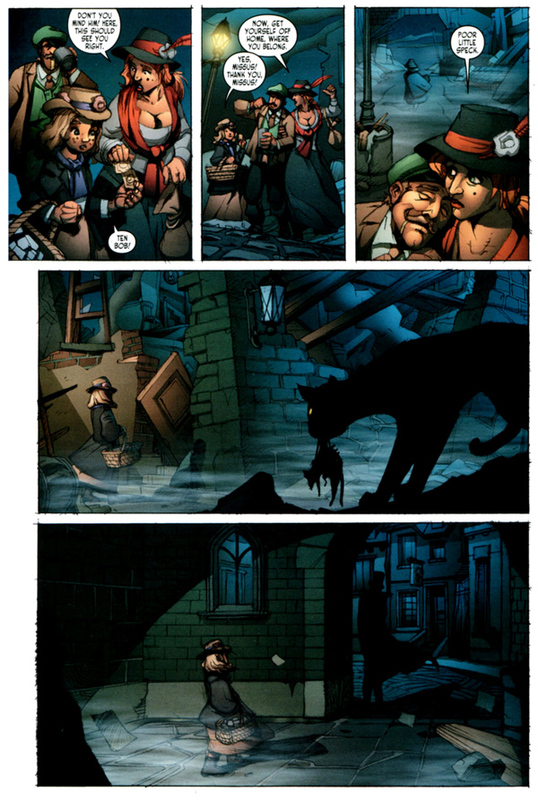 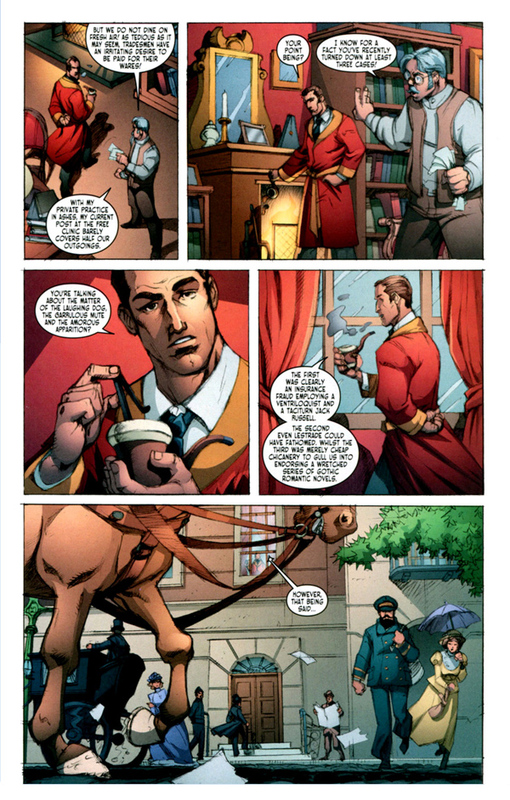 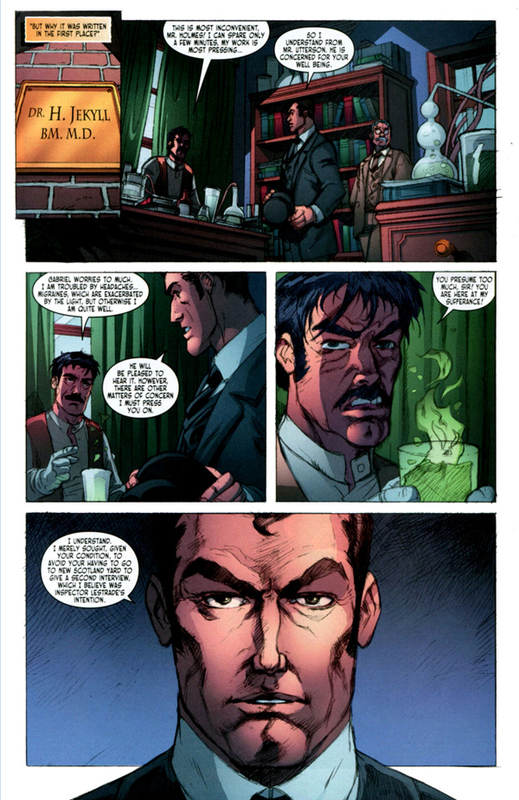 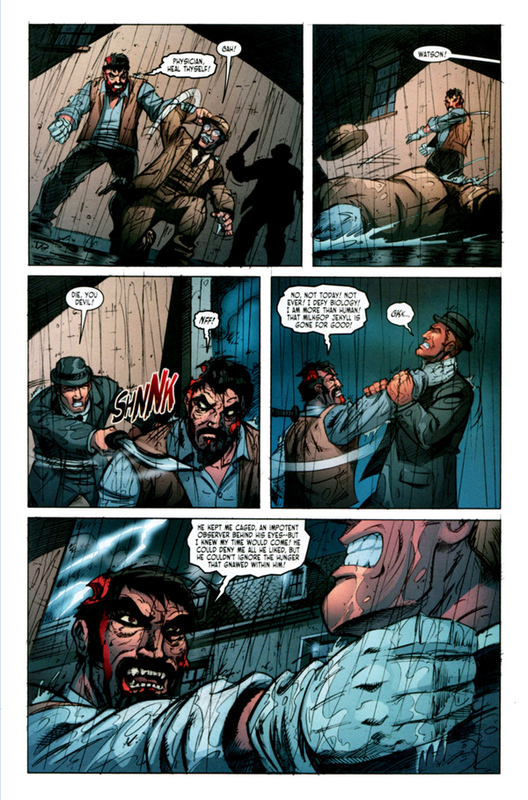 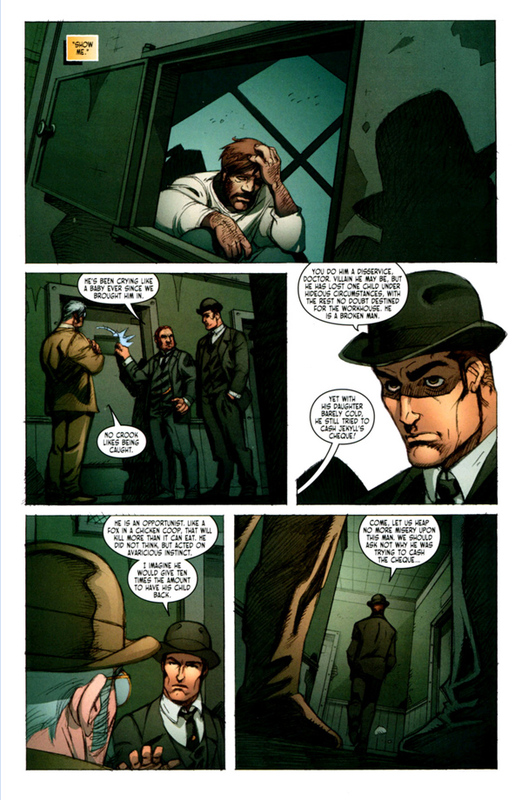 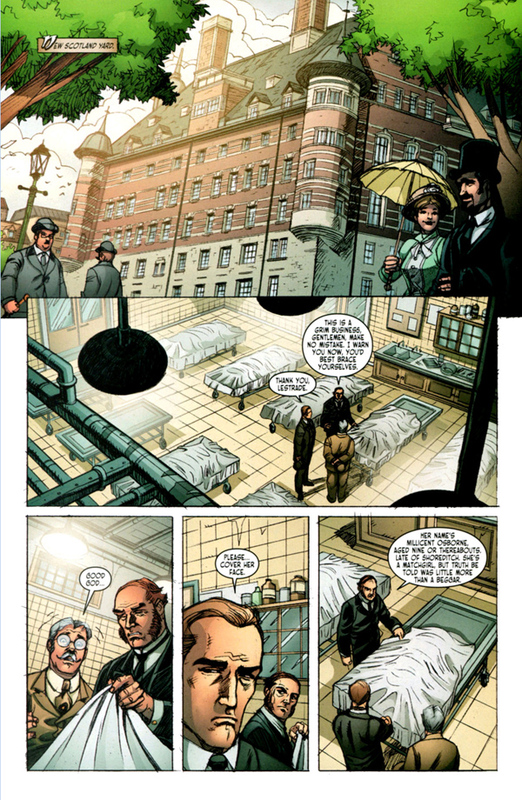 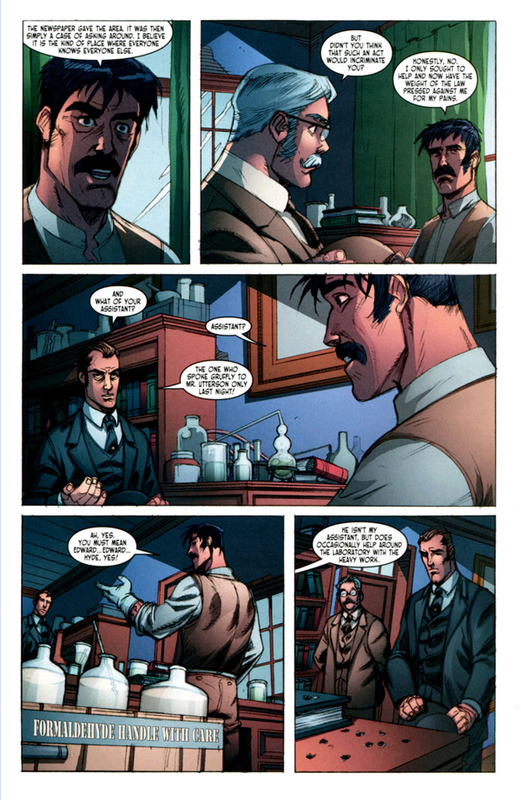 In any case, out of the two Jekyll and Hyde and Sherlock Holmes crossover comics that I've read, this one is by far the best. 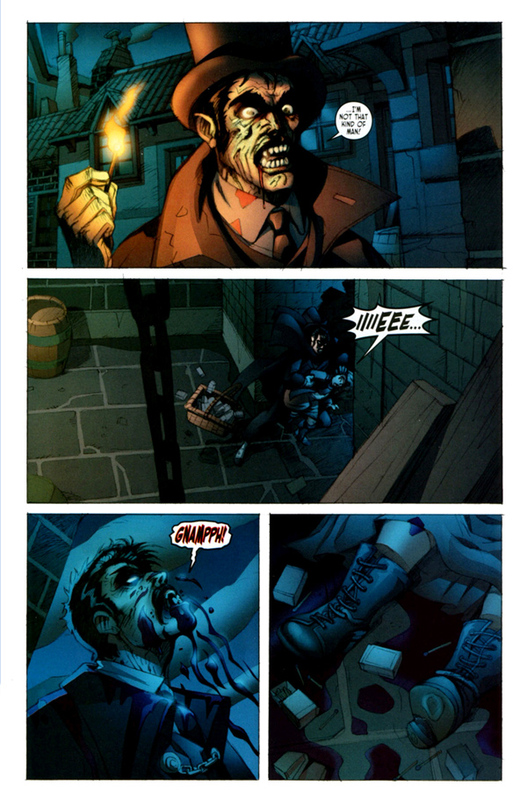 Definitely worth the trouble I went through in order to share it in a more convenient format. 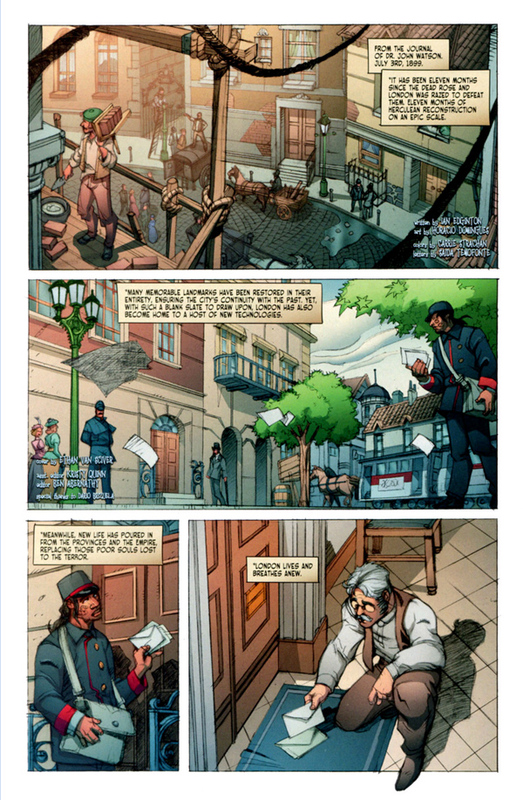 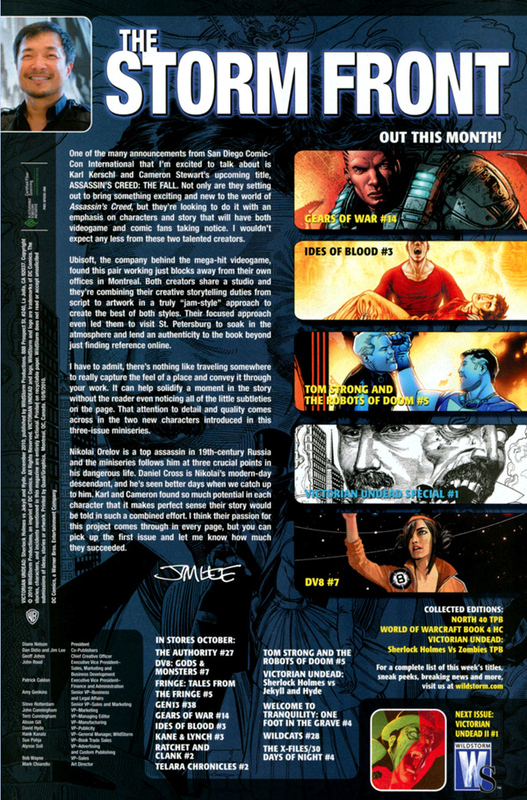 If you have trouble reading the comics as they appear below, you can find them in a larger format in the imageshack gallery I made of the whole thing. 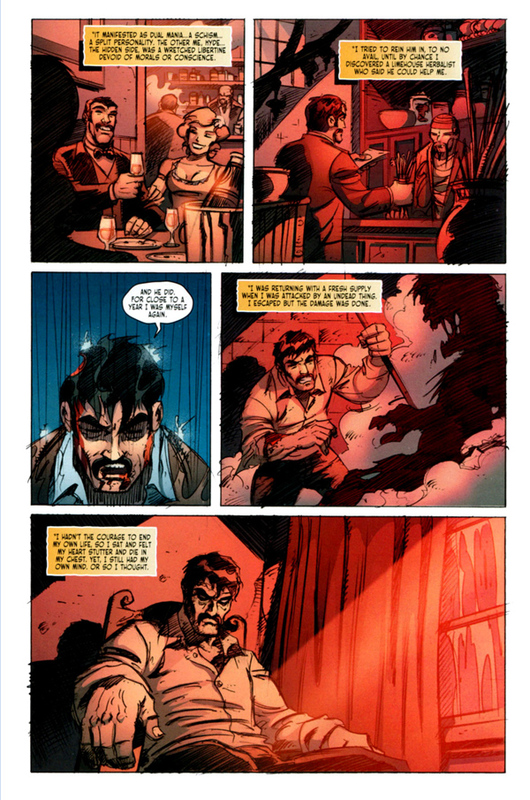 Just click on the images to show them in full size, and then arrows will appear near the top of that image that you an click to see the next page.